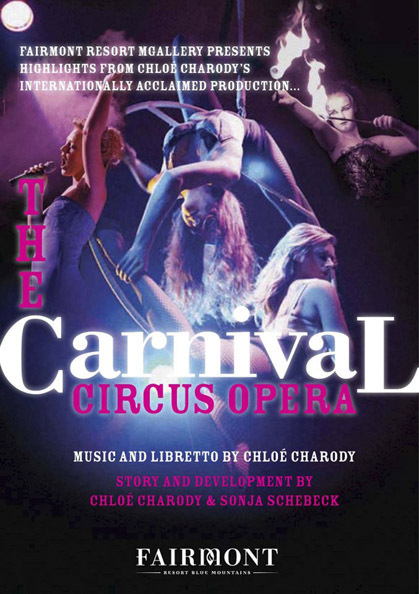 ‘The Carnival’ is a circus opera composed by Chloé Charody (2011) and created by Chloé Charody and Sonja Schebeck. 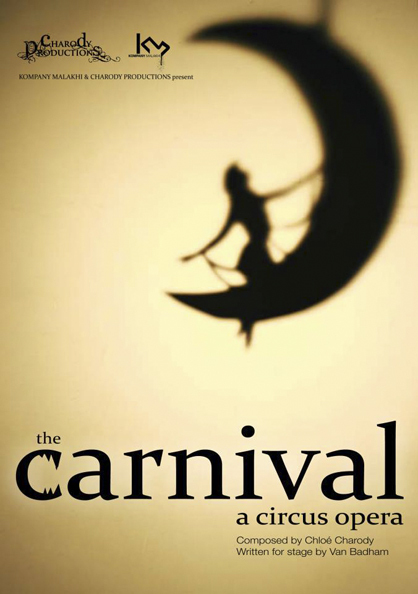 The Carnival debuted on London’s West End in March 2011 produced by Chloé Charody Creations LTD. The Carnival then went on to run a series of sold out shows throughout England, Australia & Europe. 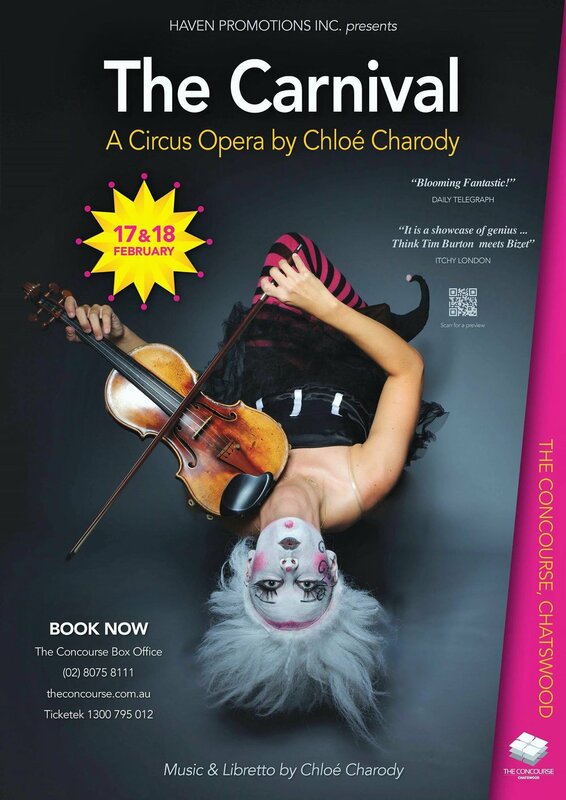 When The Carnival first premiered on London’s West End, critics were very supportive of the show’s innovative ambitions to meld classical music, opera and circus into one stand-alone opera. 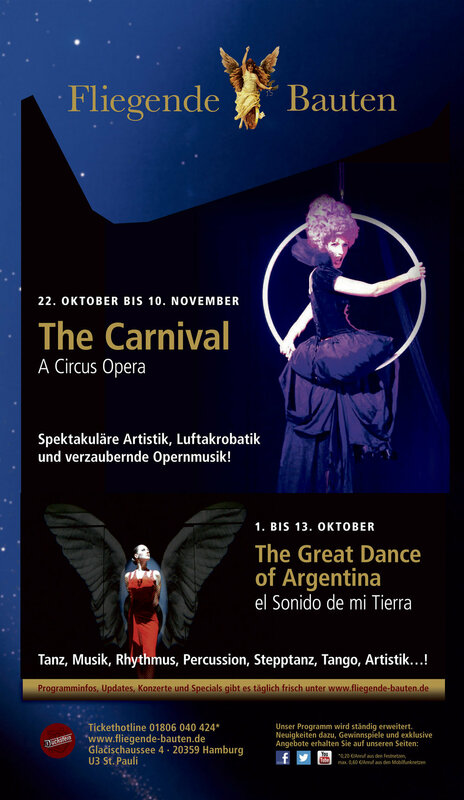 Several critics stated that ‘The Carnival’ has paved a new and exciting path for classical music & opera in the 21st Century. 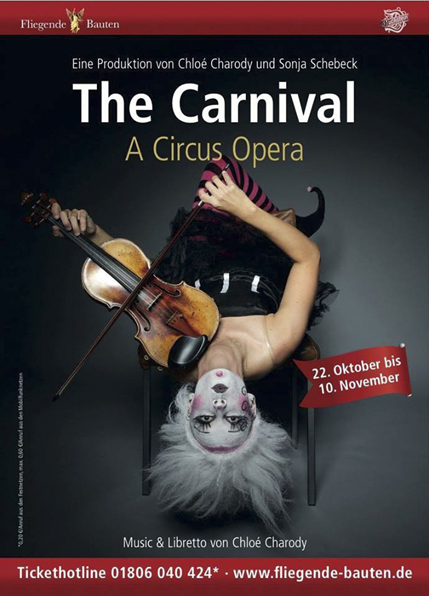 Having played now for almost 8 years throughout Australia, England & Europe, The Carnival is a work that has inspired many other opera companies & directors to embrace a new approach to the staging of the genre in order to appeal to a younger and wider audience portfolio. Please head to our youtube channel to see the latest clips from our live shows as well featured television segments.